Long, voluminous and curly lashes are all over the internet nowadays! Some women are lucky enough and blessed with ideal lashes that they can show off and enjoy on an everyday basis, while others, not so much. 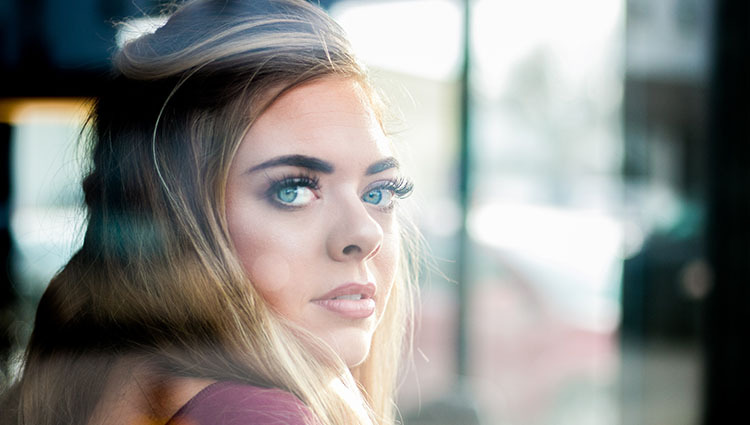 Women who have stubborn and flat lashes are often trying to find their perfect solution, and are trying to do all they can to boost their lash growth, or to look for some remedies. Luckily, there are some ways for you to get the perfect outcome. Here, we will present you the top 5 different methods which will help you get the lashes of your dreams, just keep on reading! Who Can Use It? Women who have long lashes already, yet they are flat, stubborn and non-voluminous. How To Use It? You can use an eyelash curler on an everyday basis and whenever applying makeup. It is practical and easy to use, as long as you are careful and if you can get it to your lash root. Use the curler by placing it as close to your lashes as possible and press it up and down for a few times. Is It Expensive? Lash curlers are usually priced anywhere from $5 to 15. These little metallic instruments can last you for a few months and will leave you with a significant amount of volume. The only downside to an eyelash curler is the fact that it won’t help you if you don’t already have some lashes to work with. Who Can Use It? Lash primer will help you prep your lashes for your favorite mascara. It is ideal for those women who need some additional boost, but who already have some lashes. How To Use It? Use an eyelash primer each time before applying mascara. This product comes in a little mascara like tube as well, and it should be used before your mascara since it can act as a good base. This primer can be clear or colored, and is usually quite effective if you already have some volume. Is It Expensive? You can expect it to be somewhere around $10-50, just as your favorite mascara. However, and yet again, this little tool will only help you out if you already have naturally visible lashes. Who Can Use It? An eyelash boosting serum is affordable and often ideal for women who need results in a long run, and who don’t mind the wait. Lash serums will suit every woman who demands more length and volume for her natural lashes. How To Use It? Use this serum each night before you go to bed. It can be applied with a wand or with your fingers. Once the formula dries down it will penetrate and stimulate your natural lashes. The most important part is to stay persistent since results won’t happen overnight. Is It Expensive? These serums are usually somewhere around $10-50. However, you will have to repurchase them every 2-3 months, and you will need at least 3 months to spot a difference. If you are not in a rush, this solution might be the one for you. Who Can Get Them? Lash extensions are ideal for women who have short, brittle and thin natural lashes. These can be done by anyone above the age of 16 (in most countries), and are ideal if you demand volume and dramatic length overnight. How Is The Process Done? 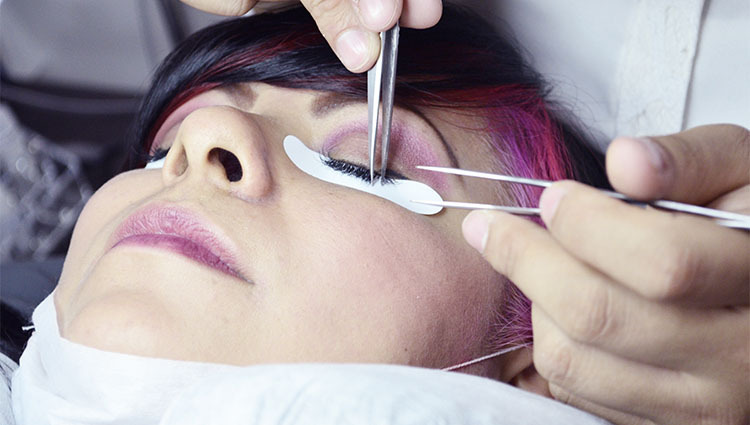 Permanent lash extensions need to be applied at a salon and by a certified lash expert. These are done with a semi-permanent glue and a pair of giant needles. Lash esthetician will apply these on top of your natural lashes one by one until you are left with your wanted volume. They can be customized per your preference, which means that you can have them done quite voluminous or natural, based on your preference. Is It Expensive? Your lash extensions will last you from 3-4 weeks and will survive any type of climate. Usually, lash extensions cost anywhere from $50-150, but are quite sturdy and will last through anything. Who Can Do This? Every woman who wants a pop of volume at one point throughout the day. How To Apply Them? Fake lashes should be applied with a pair of tweezers and a lash glue. You need to have still hands and a bit of experience just so you don’t poke your eye. You can apply them for any event and you can purchase any kind you what (short, long, fluffy, silk, mink). Once placed, they will stay on for a few hours, or until you glue them off. Are They Expensive? These lashes are usually around $5-15. You can expect one pair to last you anywhere from 1-10 wears (based on the lash material). However, these can be a bit annoying since you do need to reapply them on a daily basis, and they can glue-off if exposed to a lot of wind.